There must be something given out in the labour wards that makes many Mums turn into superheroes. Women that in the past had not needed to think about charity legislation, press releases or political lobbying are now starting their own charities and proving that they can make massive differences to the lives of others. The group have been dubbed the ‘Mummies making differences’, and is helped and supported by Cardiff Third Sector Council. 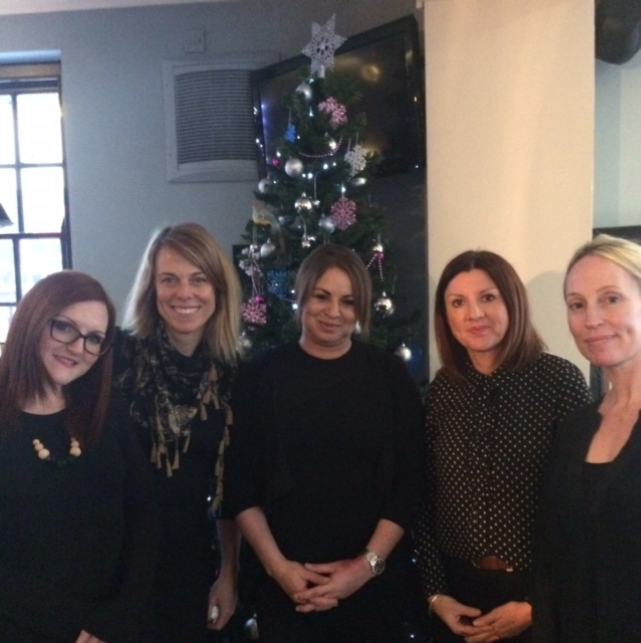 The five local inspirational Mums were brought together recently for the first time at a lunch in Cardiff to share their stories. Charlotte Harding has very good reason to feel that she can help Mums recover from mental health and substance misuse issues. Charlotte had been sober almost two years before she gave birth to her first child. After recognising she was failing to bond with her child, she developed postnatal depression and post partum psychosis and turned to alcohol. “I looked for help but even though there were many support groups out there, I found it hard to get to groups with my new-born, and slowly my health got worse, “ Charlotte recalled. Hence she set up Recovery Mummy which supports mothers with perinatal mental health difficulties, their partners and affected family members. The charity runs groups and workshops for Mums and families wanting support around this difficult time. Eilish Blade began to discover the importance of nutrition and exercise in fighting the debilitating symptoms of Cystic Fibrosis (CF) when her son Sean was diagnosed with the condition. Her aim is to promote the benefits of exercise for people with Cystic Fibrosis. Eilish and Sean have worked hard together to devise lifestyle changes based around physical exercise which greatly alleviate the symptoms Sean experiences. Although not directly linked to the Cystic Fibrosis Trust, thanks to Eilish’s hard work, the Trust now recognises that people of all ages with CF would benefit from an exercise and wellbeing programme. CFit Wales aims to raise funds to assist people in Wales with CF to exercise and improve their quality of life and raise awareness among professionals. Katherine Simmons has a longer history of fighting to make changes. Her son Kyle Beere was a typically fit, healthy, intelligent and active twelve year old boy. On 14th November 2009 he asked to be taken to the University Hospital of Wales (UHW) in Cardiff, due to a severe headache and quickly slipped into unconsciousness. He was suffering a massive brain haemorrhage caused by a rare condition called Arteriovenous Malformations (AVM). Kyle’s Goal was set up as a charity when Katherine was told that her son’s long term rehabilitation would need to take place in the nearest children’s rehab centre in Surrey, 160 miles away, where Kyle stayed for a total of nine months. Kyle’s Goal aims to raise £7m to build a centre for both inpatient and outpatient brain injury rehabilitation services, allowing children from Wales to stay much closer to home as they recover. Sarah-Jane Bailey set up ADHD Cardiff, having found there was no support for families in Cardiff where a child was diagnosed with ADHD. The charity, only founded in Autumn 2016, aims to support families through the provision of information and advice. Many children with ADHD have additional support needs within education, their community and the home, and the charity runs workshops to help meet these needs. In 2017 the charity is running workshops on mindfulness, sleep training, positive parenting and information for professionals working in schools, health and others. There are meetings across Cardiff and Sarah-Jane feels that if she can connect with other parents, ADHD Cardiff will be a life line to so many families. Nicola Abraham established the Jacob Abraham Foundation after the death of her son in October 2015; Jacob was aged 24 when he took his own life. Jacob presented as a happy go lucky young man who was popular, funny, athletic, handsome, and had friends and family who loved him dearly. The shock of the situation that Nicola and the family found themselves in forced her to act – feeling that there were no services available in the community following Jacob’s death and later the death of his close friend Andrew. The Foundation, set up in Jacob’s memory, aims to help other young people suffering from anxiety, depression and overwhelming feelings of despair and prevent more deaths to suicide. They offer practical and emotional support, train professionals on suicide awareness as well as raising awareness of mental health and death by suicide, especially in young men in Wales.